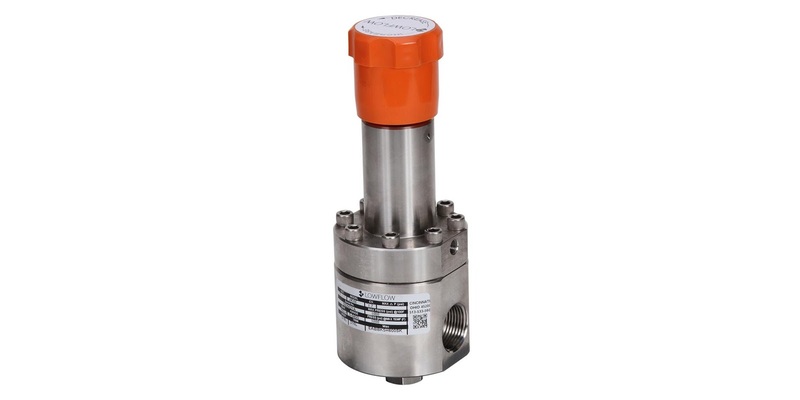 The JRDL Series pressure regulator for very low flow applications. Jordan Valve, under their Low Flow brand name, released a new series of products to expand their already extensive J-Series line of pressure regulators and back pressure regulators. The JRDL Series is a diaphragm operated pressure regulator intended for use in applications requiring very low flow rates. Line sizes include 1/2", 3/4", and 1" (along with metric equivalents) with threaded, socket weld, or flange connections. The standard outlet pressure ranges extend up to 400 PSI, with custom configurations available. A host of possible configurations, seal materials, and options round out the offering. More technical detail and illustration is provided in the datasheet included below. Share your fluid control challenges with valve specialists, leveraging your own process knowledge and experience with their product application expertise to develop effective solutions. JRDL Low Flow Pressure Regulator Valve from Hile Controls of Alabama, Inc.